When you have a beautiful lawn, you want to keep it that way. Through proper lawn care, you can enjoy a nice grassy lawn, beautifully manicured flower beds, and even a delicious vegetable garden. You might already know some of the things you should do to ensure your lawn stays beautiful but do you know what to avoid doing? 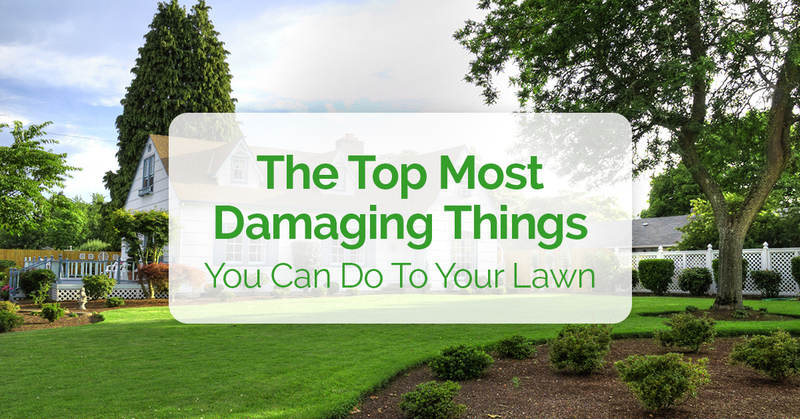 Check out these top most damaging things you can do to your lawn so you can avoid being the death of your yard. Remember, if you need help with lawn care in Falmouth, we are the team to call. We provide an array of lawn services, including mowing, maintenance, and more. Reach out to our team today to learn more about our lawn care company. Fertilizers are an excellent way to provide extra nutrients to your lawn. However, as with most things in life, too much of a good thing is not actually a good thing. Make sure that if you are using fertilizers on your lawn, you understand exactly how much your specific grass type needs. When you over fertilize your lawn, you can actually cause more harm than good. In the industry, overfertilization is often referred to as “burning” your lawn due to the dehydration that it causes. When in doubt, talk to a lawn care professional about the specific amount and type of fertilizer your yard needs. 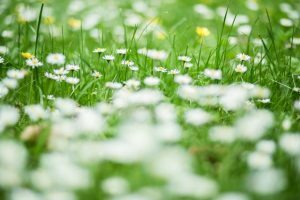 If you see a few weeds in your yard, it might be tempting to just ignore these outliers and carry on with your day. However, weeds will rapidly take over a lawn if they are not constantly culled. Make sure that you are weeding weekly to ensure your lawn is not strangled out by these invasive plants. If you don’t have time to weed every week, hire a lawn care company that will attend to weeds when they mow your yard. Most people want to err on the side of caution when it comes to watering their lawn, which often leads to overwatering. Too much water can actually drown your yard and wash away important nutrients from the soil. Overwatering usually occurs when a yard doesn’t have a good sprinkler system in place. If you are still watering your lawn by hand with a hose, you are at risk for not watering consistently and potentially drowning sections of your lawn. Invest in a sprinkler installation so you can regulate your watering. Talk to your lawn care specialist about the specific watering needs your grass and soil type require. While it would be nice if our lawns simply took care of themselves, this is not the case. Without proper lawn maintenance, your yard will quickly become damaged and you will potentially kill sections of your lawn. Make sure that you are keeping up with tasks such as mowing, weeding, fertilizing, and aerating to ensure your lawn stays pristine. If you are not certain what maintenance your lawn needs, talk to a lawn care professional from our team. We will be happy to help you create a schedule that provides your lawn with exactly the care it needs to stay alive and healthy. From weekly mowing to landscape design, we can assist you with all your lawn care needs. Reach out today for a free estimate on lawn care in Falmouth. We offer a variety of services that are specific to the coastal Cape Cod area. Our team selects the best soil, trees, shrubs, plants and flowers that are all proven to endure the Cape’s four seasons of erratic weather. Cape Cod Lawn Care’s services are based on proven practical ideas. Let us transform and maintain your property. We are proud to offer: New client discounts, senior discounts, weekend services, Cape Cod home watch, and on-demand mowing services.